Here at Red Rocket Creative, we’re committed to generating leads, increasing web engagement and growing revenue for our clients. That’s exactly why we went to this year’s Unbounce CTA conference—to gain leading-edge insights that will help us continue improving our tactics and strategies. 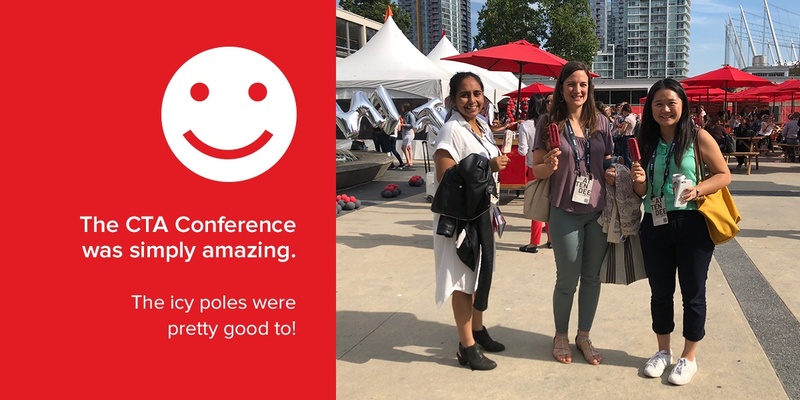 The conference had an amazing lineup of presenters, from data nerds to marketing strategists, and everything in between. We’re excited to share what we learned at this year’s conference with you! So without further ado, here are our top 7 takeaways from the 2018 Unbounce CTA conference. 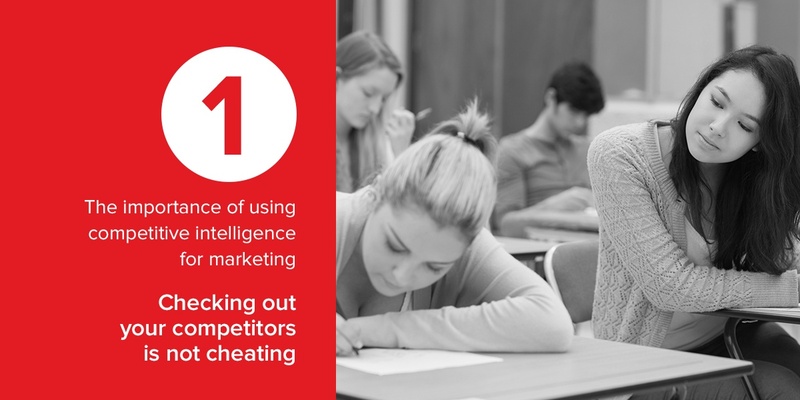 You may not know just how important it is to use competitive intelligence for your marketing efforts. But this is an essential step if you want to see what your competitors are doing well and what they’re not doing so well. We can say competitive intelligence is a deep-dive study of your competitors. Ellie Mirman of Crayon shared some places you can look to identify your competitors’ strengths and weaknesses, such as analyzing review sites, case studies, website content and support threads. Your competitors’ websites are a great place to find their company positioning. 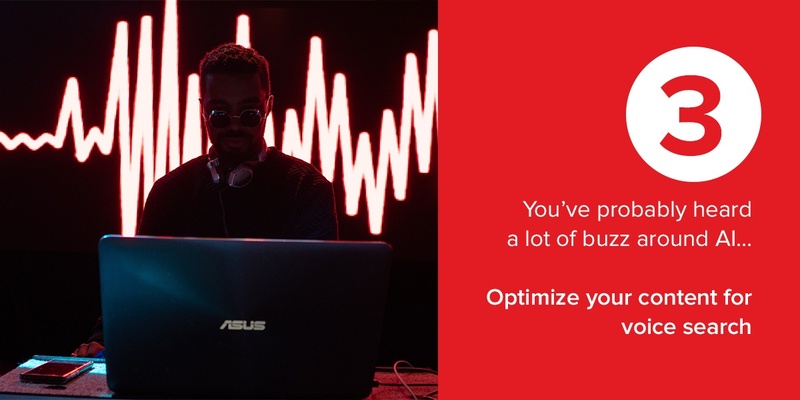 Notice what their content copy says as to why you should choose them over others. Another way you can predict your competitors’ future strategies is to research their job postings and see what positions they’re hiring for. This shows what skill sets they’re investing in during the next 3-6 months. Last but not least, once you’ve gathered all the information on your competitors, don’t just forget about it. It’s important to act on these insights to help your business grow in revenue. Social media is an integral part of an effective marketing program for your business, and according to Veronica Romney from LoSoMo, 80% of B2B leads come from LinkedIn. So if you’re doing LinkedIn advertising, is your ad compelling enough to both get people’s attention and get them to leave LinkedIn to go to your website? Also, in order to truly understand who your target audience is, and what they want, you should always test your ads. The testing can range from demographics, behaviours, content type, copy and urgency. But it’s also important to remember that people use social media just to be social! And if you haven’t noticed the power of Facebook groups yet, it’s time to get involved in these gated, super-effective content communities. Facebook groups provide an excellent source of data that will help you learn more about the behaviour of your target audience. In the end, the more you understand about your target audience and their behaviours, the more you can provide ad content that will increase engagement. Lastly, don’t be scared to try new things. The more you’re willing to experiment with your ads, the more you can find out what your audience engages with the most. You’ve probably heard a lot of buzz around AI (artificial intelligence) recently. For marketers, the most important thing to know about AI is that it will change the way people search online. Thanks to smartphone voice search capabilities, and technologies like Alexa and Google Home, people are moving away from typing. Instead, search queries are getting longer and more conversational. Within the search engine world, things are more competitive, because, with voice search, whichever result is on position 1 of search results will be the result that searchers are given. Optimize the featured snippet content for voice search. Christi mentioned a great tool—Answer the Public— which can help you do better research for voice search queries. Using this tool, you can generate all types of questions people are asking, related to your keyword. Then, you can use these generated questions to create content that answers them. Now is the time to start optimizing your content for voice search queries so you don’t miss out on potential leads! Many people wonder if content marketing is a waste of time, because most blogs have a low visitor-to-lead conversion rate. However, building a successful blog isn’t just about measuring the conversion rate. In fact, just because people read your blog, it doesn’t necessarily mean they’ll become a lead. Blogging is more about improving your website’s domain authority and building backlinks—both of which drive up your search rankings. So what’s the best way to create content that people want to link to? Andy Crestodina from Orbit Media shared some of his best tips to build an effective content strategy. In particular, he shared a tactic that will put your content strategy in the top 1%—beating out 99% of your competitors. That tactic is original research. Original research is incredibly powerful, and starts with identifying what information people in your industry are looking for online, but can’t find. You then do your research to find and present the missing statistics and information. How can you find out what information your buyers are looking for? Potential topics should flow from your sales team to your marketing team. When prospects ask a question to your sales team, both the questions and answers can be a great source for original research ideas. Creating high-quality original research is time-consuming, but it’s incredibly effective at helping you build links to your website and improve search authority. This, in turn, helps you generate more leads and grow your revenue! We can no longer rely on best practices to be successful. In order to find out what works best for you, you need to do the research and the work. 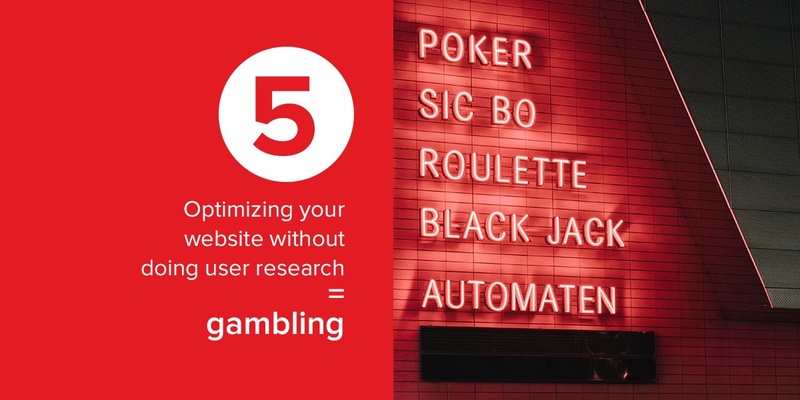 If you’re not doing user research for your website, you’re basically gambling. You might say: “Ok, how much user research should I really do?” And the answer is: enough to answer each question that comes up. You will also need both qualitative and quantitative data in your research. How can user research help your business? It gives you an in-depth picture of who your customers are, their motivations, emotions, drivers, and pain points. Targeted Surveys: Google Analytics tells you what people do on your website, but surveys tell you what they want to do. Use surveys to find out why your users didn’t take a certain action and use the insights to change your strategy accordingly. Interviews: Sometimes, surveys aren’t enough to collect the data you need. If that’s the case, you can dig deeper by conducting interviews with your website users. In-person moderated user testing: This is a one-on-one session that is different from a focus group. This method is a great way to really see how users navigate through your website, as you can observe them and ask them questions as they’re doing so. Let the user do most of the talking so you can get accurate insights on their experience. User research is a tool that helps you prioritize and make better customer-centric decisions. These informed decisions are key in helping your business increase web engagement, leads and ultimately, revenue. Email marketing is an essential piece to move leads through the sales funnel. The first thing to remember about email marketing is that your emails are competing with a ton of other emails in your subscribers’ inbox. And looking at a metric like email open rate isn’t always an accurate measure of success. Some people open emails just to delete them! One reason why people may hit delete is because marketers talk too much about themselves in their emails. Email really needs to be more about the user. Giving more choices means letting people decide what types of emails they actually want to receive. You can do this by simply sending out an email with a list of subscription options, and ask people to opt-in to the ones they want. This is also a perfect way to help your content marketing team, because it gives them information about the types of content people like to consume. And if some of your current subscribers decide they no longer want any email from you at all, don’t be discouraged! In fact, you shouldn’t be afraid to say goodbye to your subscribers. This is actually a great opportunity to reevaluate your email marketing strategy and remove the unengaged audience. Use any feedback you get to help improve your content so you can generate better leads for your business. Many businesses who reduce the size of their subscriber list actually notice improved email engagement rates. On top of that, your website traffic will likely remain stable, as the unengaged email contacts likely weren’t visiting your website anyway. 7. Content is no longer king, distribution is. A valuable, problem-solving piece of content is your ticket to the dance. But does it get you more than just an entry to the ballroom? Sure you’re generating the right type of content – and as you may know, this takes lots of work. 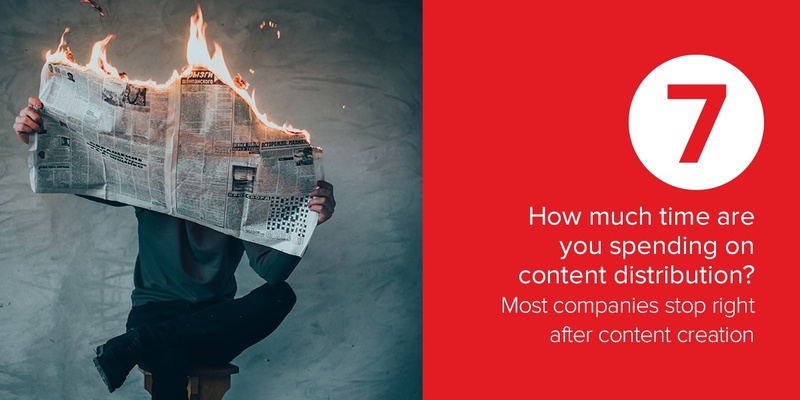 But how much time are you spending on content distribution? Most companies stop right after content creation, and don’t have a distribution strategy to support their efforts. If you don’t dedicate at least as much time to distribution as creation, it’s highly unlikely you’ll get the results you want. Ross Simmonds spoke in depth about content distribution, and shared this comment: “it’s becoming more important for marketers to embrace a diverse set of channels for traffic and attention”. This sums up the increased need to make distribution a central part of your strategy. And remember, targeted distribution is essential. This means you need to dig deep into your buyer persona and user data and find out where these people hang out online. There are many lesser-used distribution channels out there that your target audience may use, such as Slack communities, Facebook groups, or Q&A sites like Reddit, Quora and StackExchange. If your business has a laser targeted, buyer-focused distribution strategy, you will definitely have a leg up in today’s competitive landscape. The CTA Conference was simply amazing. All of the topics that came up in this conference are interconnected. It got us thinking about some new strategies and tactics we can implement to support our current clients’ marketing efforts. If you’re interested in learning more about how these takeaways can benefit your business, let us know. Having a team like Red Rocket on your side can help you put together an effective, targeted, data-driven strategy that can boost your business growth.